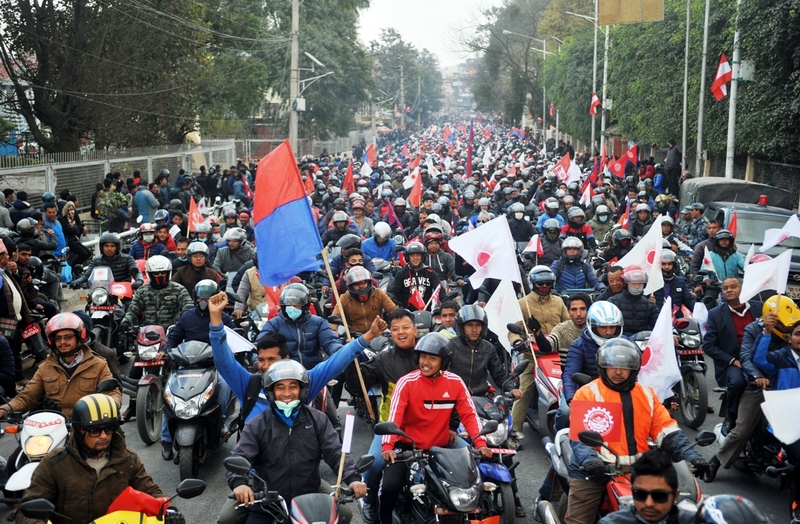 KATHMANDU, Jan 5: The CPN-UML organized a motorcycle rally in the Capital City on Thursday as a part of the protest against the constitution amendment bill. 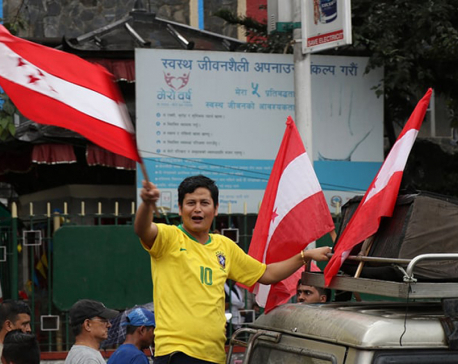 The main opposition party claimed that over 10,000 protesters participated in the rally. The rally was taken out on the eve of the protest assembly slated for tomorrow. The motorcycle rally started from Bhirkuti Mandap and ended at Ratna Park after passing through Tripureshwor, Thapathali, Jawalakhel, Satdobato, Koteshwor, Sinamangal, Battisputali and Dillibazaar. The traffic in Kathmandu has gone haywire due to the rally. 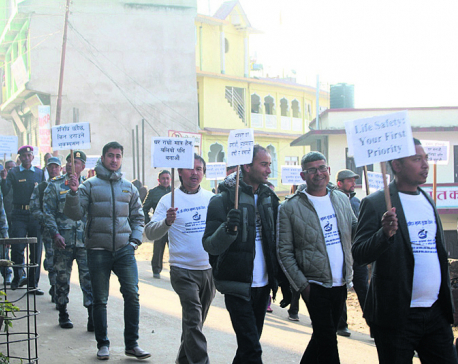 UML Secretary Yogesh Bhattarai has apologized for the disturbance in the traffic. 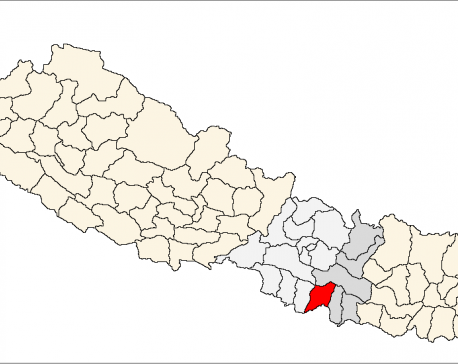 SARLAHI, Sept 12: Three people were killed in a road accident in Kadariya Chowk in Hariwan Municipality on Saturday night.